When scrolling through the pages of the travel industry news or reading up on anything related to the latest travel trends, you don’t have to scroll too far before you encounter the term ‘Millennials’. Everyone is talking about global youth anywhere between the ages of 16-35 (depending on whose definition you’re using) and among all that coverage you can find some interesting insights – and also a lot of hype! In any case, it has now become essential to keep up with what Millennials are doing, and more importantly, how they behave when they travel. Destination management organizations (DMOs) in particular can have a tough time of standing out in a crowded marketplace, especially for a generation of visitors which seems more demanding and highly independent when it comes to their travel choices. “Is it even worth trying to compete with the hipster hotspots of Berlin or Barcelona?”, you might be asking. 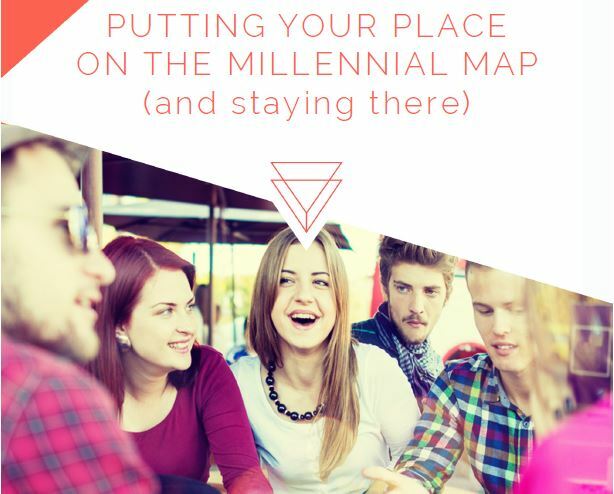 Fortunately, making it onto the Millennial traveller’s map can often be done in simple ways – just start with some imagination and a touch of local inspiration! Meanwhile, taking steps such as sharpening up your digital strategy and content can be seen as an investment in the future, as the process of marketing and managing a destination shifts more and more towards digital formats every day. As you may know, I’ve been an international associate of Toposophy for nearly a year now, and during this time I’ve met so many people from DMOs, major travel corporations, media, tech developers and startups and more who are interested in our approach to our work, since everything we do is with the Millennials market in mind. Therefore we thought it would be useful to put some practical hints and tips on engaging with this market into one, free, handy guide. It’s just been published and you can find it here. Visit http://www.toposophy.com to find out more about the company, and follow @toposophy for more updates! ← How do Millennials from across Asia and the Pacific plan their city trips?